I don’t know about you but I’ve always loved trivia. So, learning what I can whenever I get the chance is fun for the most part. This goes for car facts as well. I mean, learning has always been something you do so why not learn the history or automobiles as well? It isn’t just about having a car of your own sometimes. It’s about learning the history of cars and making the best decision for you and your family. So, knowing some of the history of cars can help you leave your favorite dealership with the car you and your family need. 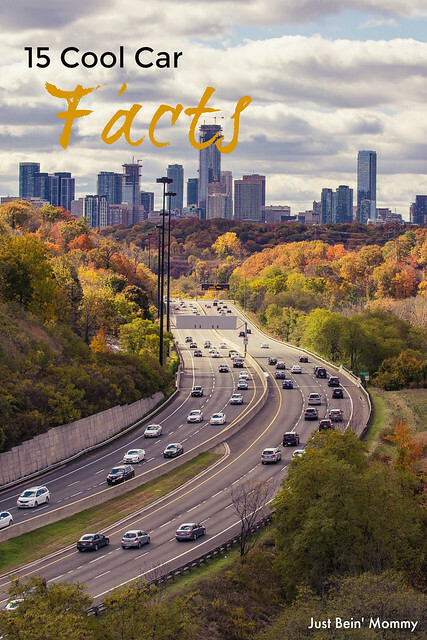 Check out some of the fun and cool facts I’ve learned about cars below. I think you’ll enjoy them as much as I did. Add your own in the comments if there is something you think I should know. 80% of the average car is recyclable. In 2017, Tesla became the world’s second most valuable car company. It is a criminal offense to drive a dirty car in Russia. There were only 500 million cars in the world in 1986. Now, it is estimated that there are over 1.2 billion. 95% of cars in the United States have an automatic transmission. In Europe and Japan, more than 80% have manual transmissions. Crazy right? The Toyota Corolla is the world’s best selling car. It is roughly 20% of the company’s overall sales. About one-quarter of the world’s cars are in America. The 1994 Honda Accord is the most stolen car in the history of the United States. Half of all the new cars sold in Norway are electric or Hybrid. Ferrari only makes 14 cars a day. The use of the seat belt became law in Wisconsin in 1962. The Seat Belt saves one life every 6 minutes. 16% of all car owners never wash their cars.